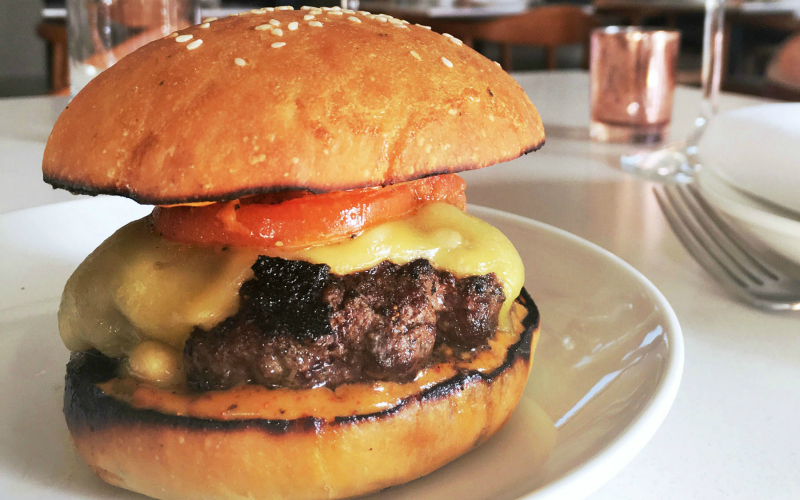 When it opened last year, 189 by Dominique Ansel brought fine dining to the Grove—but now, for one week only, burgers and fries are coming to 189. 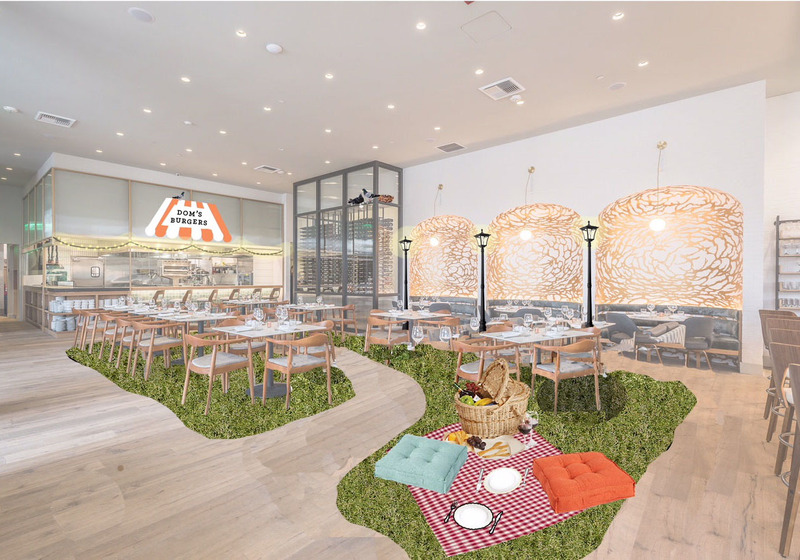 Ansel’s team will be flipping their dining room into Dom’s Burgers, an indoor picnic garden, complete with blankets and pillows spread out on a faux-grass turf, and slinging a menu of casual fare. Stop by the restaurant (189 The Grove Dr.) between 11:30 a.m. and 2 p.m. on March 12 through 16 and you’ll be able to choose from four limited-edition burgers served with herb fries (all $15), cookies from the downstairs bakery ($4) and fruit- and horchata-flavored paletas ($4). The pop-up will also have a cart serving hot, roasted nuts ($4), a make-your-own lemonade stand ($4), and a list of craft beers, because why not? Chef Ansel is not messing around with these burger options. From his basic beef burger (which is still pretty extra, honestly) to a vegetarian version that that even carnivores will likely find tempting, we’re not even sure which one we would order. But, it’s hard to ignore the one sandwich that’s technically not a burger, but still looks kind of amazing: a fried chicken sandwich served on a bun made from one of the pastry wizard’s famous Kouign Amann. Is it too much, or just enough? You’ll have to decide that for yourself. 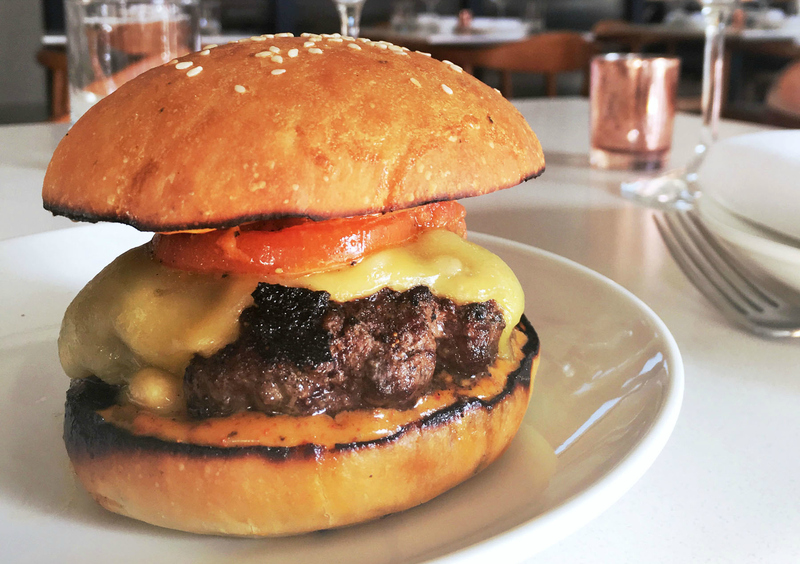 The 189 Burger Jr.: A smaller take on the restaurant’s signature burger, with a ground chuck-short rib blend patty, tomato concasse confit, smoky pickled onions, Tomme de Savoie cheese, and lemon Dijon Espelette aioli, on a homemade potato bun. 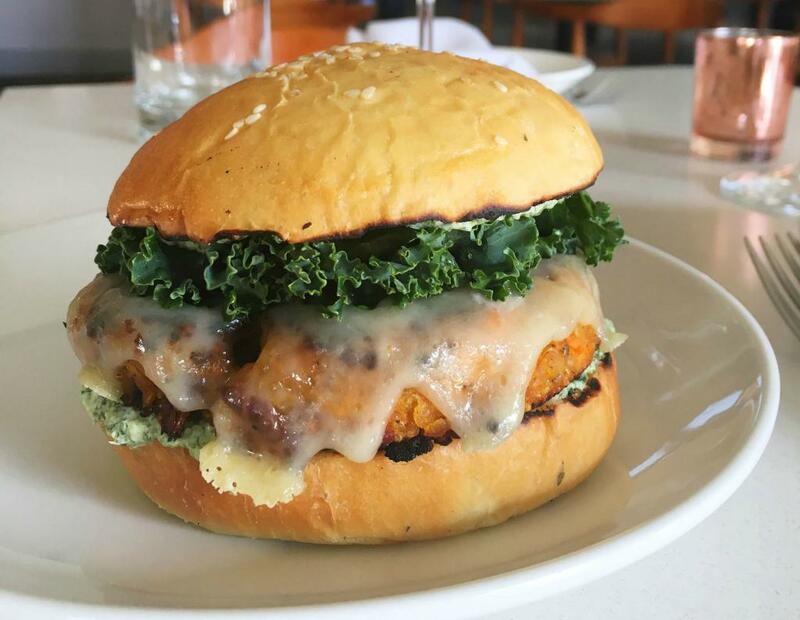 Vegging in the Park: Sweet potato and quinoa are formed into a patty which gets blacked on the grill, and then topped with curried yogurt, cucumber pickles, greens, and cheddar cheese. 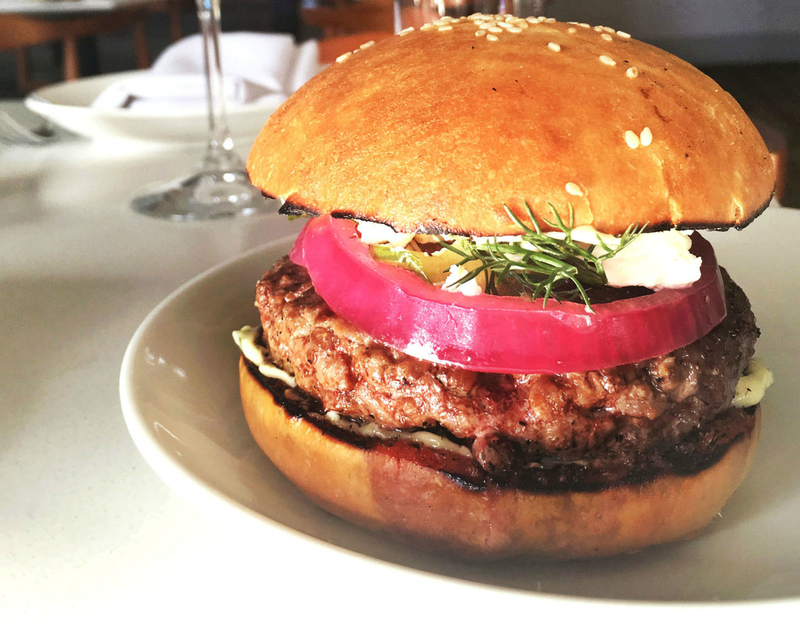 Lamb Baaa-ger: This ground lamb meat burger is outfitted with a verjus red onion slice, lemon confit aioli, za’atar spices, and crumbled feta. 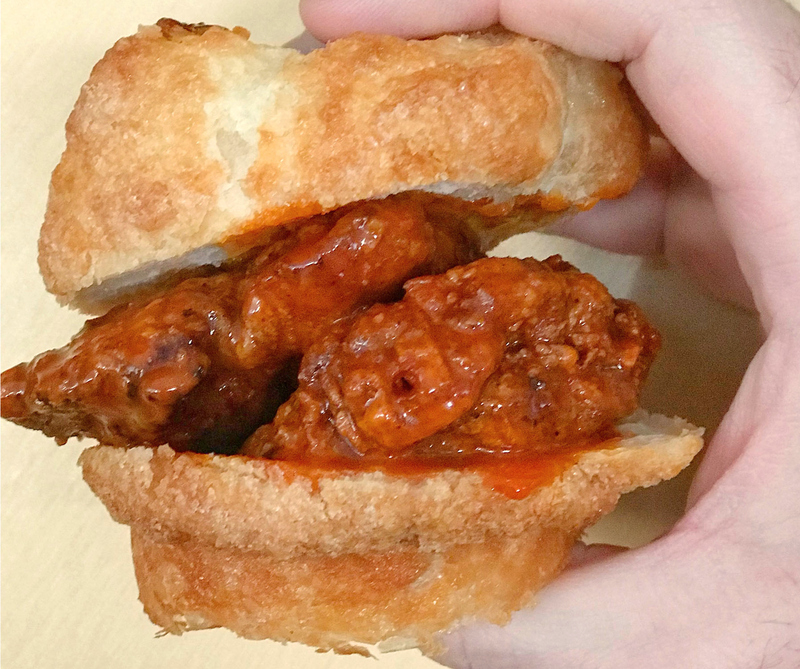 Spicy Fried Chicken DKA Sandwich: Strips of crunchy fried chicken are dressed in a house-made hot sauce and snuggled inside of a sliced DKA Dominique Kouign Amann (the chef’s famous version of the classic Breton treat made from a laminated dough with caramelized sugar). It’s like a “Luther,” but fancy.